Looking at your photos can be a befuddling experience. Am I looking at film sets or at real-life impressions mimicking movie scenes? 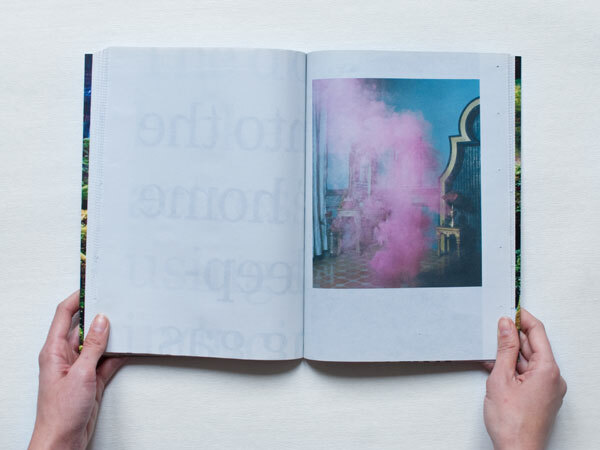 The photographs are ambiguous and intriguing. And you have woven in textual quotes, increasing the levels of possible reading. By taking photographs on film sets I created a first layer of uncertainty about whether you’re looking at fact or fiction. I started using this method with Lotus and continued along the same lines with The Fourth Wall, but I wanted to explore it more deeply. For example, by using texts, often lifted from newspaper stories, predicting something which would happen later in the photographs. Narratives are triggered by the images in combination with the suggestive connections of the newspaper quotes. Sometimes the links are so particular you couldn’t possibly guess. One clear example is the piece from the newspaper article about the school girl who went to Mumbai to look for her idol Salman Khan. Of course, she meets an evil man who steals her money and she is left alone in this anonymous megalopolis. This story was a perfect fit to a photograph I had taken of Khan’s double, three months before reading the article. Only Indians or Bollywood-experts will recognize Khan in the picture. That image and quote have a clear link. Then there is the story of the boy Sohail who was very curious whether there is life after death. The boy committed suicide after seeing a character dying in a TV show and miraculously returning to life in the next episode. The boy believed he would come back to life as well. In the images following that quote you’ll see a boy who’s looking at scenes from a distance. Overall, it’s free association. One of the essential ideas of the work is the subconscious power that fiction can have over reality. The Fourth Wall is a fairly well-known concept in theories of theatre and film. Does your title refer to that? And is it suggestive in that the readers of your book are invited to think of who makes up the fourth wall in this case? I don’t like titles that immediately give a away a key or explanation. Usually the fourth wall is thought of as being the imaginative wall in between actors and their audience. In the case of my book, it’s open to a multitude of interpretations, but I have taken it as a clear reference to the theoretical concept. If you know what it means it should tell you that my subjects are very well aware of the fact that they have been photographed. It is important to know, otherwise much of the magic disappears. Is it necessary for the audience to be familiar with Bollywood culture? No, I don’t think so. Except perhaps in recognizing a movie star like Salman Khan. What is significant though, is that movie culture has such a dominant and positive presence in India, that almost anyone is willing to act in front of a camera, no matter if it’s a film or photo camera, they often don’t even know the difference. I know of no other place in the world where the presence of cameras is so greatly appreciated. It’s easy to ask a complete stranger: ‘Look, I want to photograph that scene… everything is set up, do you want to act?’. Most of them are wildly enthusiastic about it. That’s the most exciting part. Shortly after you finished your dummy, you made an edition of 1000 of The Fourth Wall, financed through crowd-funding. 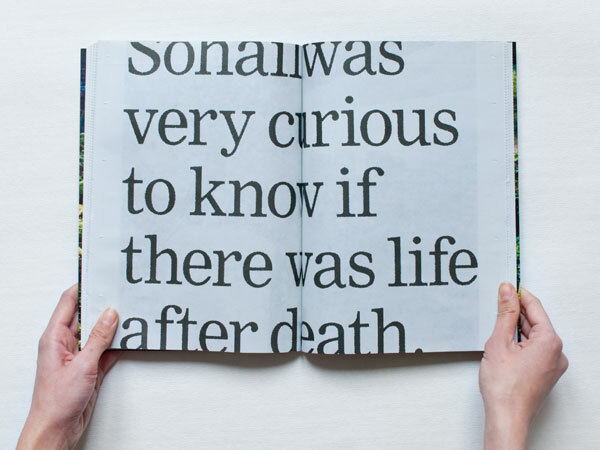 The most striking difference between dummy and final book is the newsprint used for the latter. The photos in the book aren’t as vivid and sharp as in the dummy. At an early stage in the design process, Christof Nüssli (from Werkplaats Typografie, Arnhem) proposed to use standard 45-gram newsprint. I thought it to be a radical proposal at first, but it pertains to the subject of the book and to the quotes I have drawn from newspapers. Also, it binds the photographs together rather than leaving them as standalone pieces. Nowadays it’s possible to use inks without water for newsprint, so the images are somewhat sharper than usual. 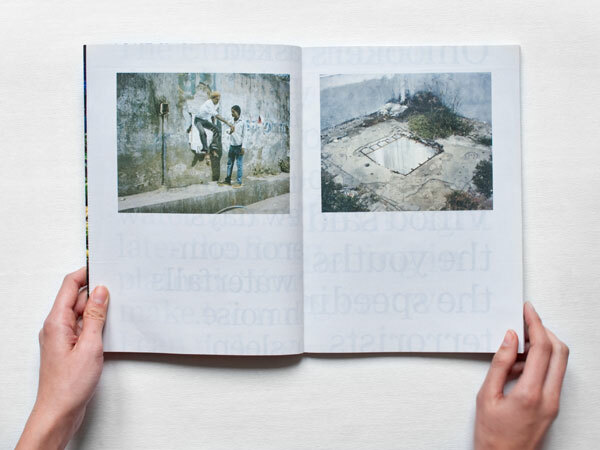 One should always consider good printing quality for a photobook, but I don’t think it’s of the utmost importance. In an exhibition it should be perfect though, whether as print or lightbox. We couldn’t make a dummy using newsprint, as offset requires a print run of at least a thousand. We needed a temporary solution for the dummy, hence the heavier paper. But the lay-out and editing hasn’t changed much in the final book. The book has a disposal feel about it now? Yes, it’s a lot thinner than the dummy, which still is a sort of coffee-table book. Like I said, it fits the concept of my project, and also I wanted to do something different from what is always expected, which of course shouldn’t be the ultimate reason to make such a choice. In India everything is wrapped in newspaper, almost everything is of a disposable quality. The nice thing about the book is that it’s really in the spirit of how I experienced things in India. 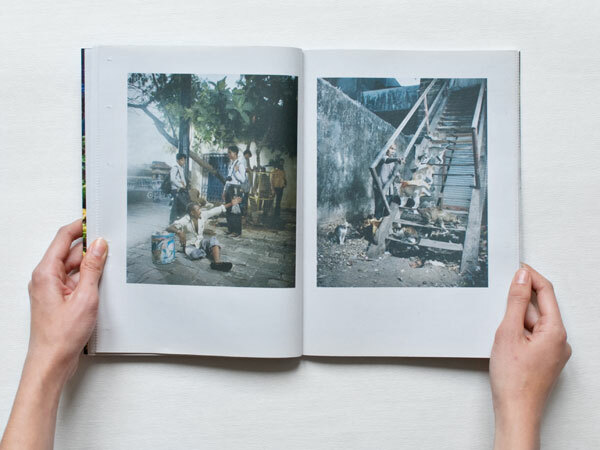 Have you showed the book to the people you photographed in Mumbai? Not yet, but I’m going back to India soon to make new work for the Europalia Festival (B). I’m going to give copies to any of them I can trace. I have shown the book to some Indian people already and they all react very positively and say they’ve never seen a representation of India like this before. They even see things that I wasn’t aware of in the first place. As soon as you learn about the cultural connotations the story gets so many extra layers. The most interesting part of working in series and making photobooks is that it enables you to weave many story lines together. You can use texts and other materials, push a reader in a certain direction. You can’t perceive it in one viewing. It’s another way of seeing.